Art Angels, one of LA’s hottest galleries, is making a big splash in Miami—and just in time for Art Basel Miami Beach. 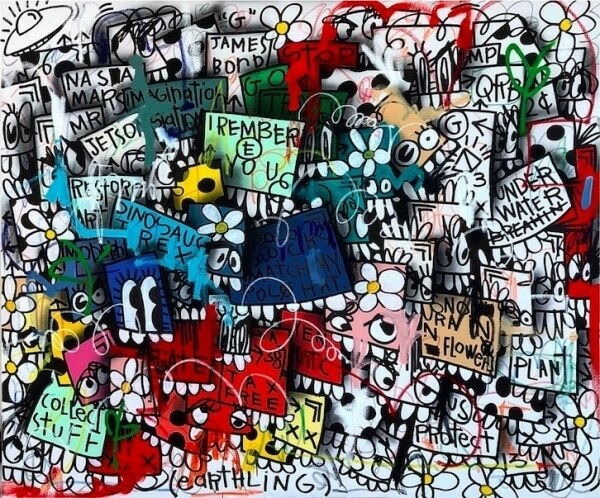 Philippe Shangti, "Remember Luxury Dinner"
Art Angels is bringing their contemporary and eclectic roster of artists to Miami with a series of exclusive events during Art Basel Miami Beach, one of the country’s most visited and coveted art fairs. With a Grand Opening celebration on December 6, in collaboration with Live Nation, Art Angels will formally announce their new presence in Miami. Simultaneously, the gallery will be exhibiting at the CONTEXT Art Miami and will curate the lobby of the ever-chic Nobu Hotel Miami / Eden Roc Hotel Miami. What can guests expect at these events? The same level of sophistication that you find in both Art Angels Los Angeles and Art Angels Miami—a highly visual experience that provokes emotions through color, social commentary, and pop culture, showcasing a new generation of artists from a new generation of gallerists. Here, we’ve pulled together a list of Art Angels’ five artists to watch at Art Basel Miami Beach. 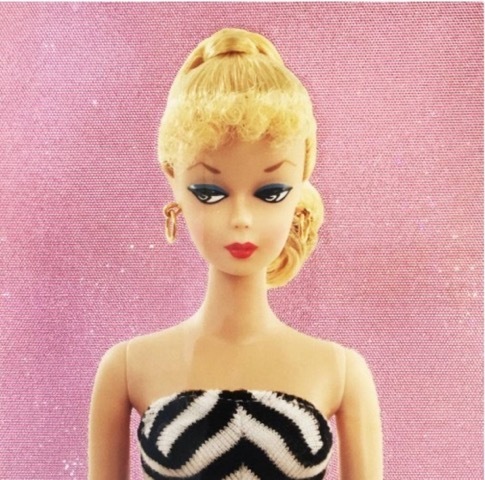 Beau Dunn, "Solid Glam Barbie"
LA-based and celebrity favorite Beau Dunn's work has been exhibited at the Fredrick Weisman Museum of Art, CA and the ‘For Your Art’ exhibition at LACMA, CA. 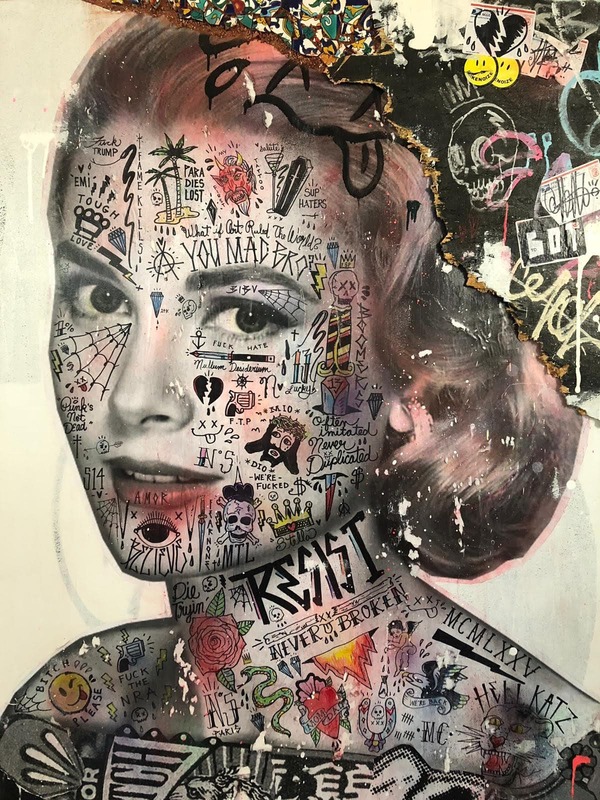 Dunn is best known for “Plastic,” a series of Barbie portraits, which were recently featured in Architectural Digest in the home of supermodel Claudia Schiffer. Don’t miss the artist’s Swarovski-covered Barbie works at this year’s fair, which are bound to make an appearance on Instagram feeds all across Miami. 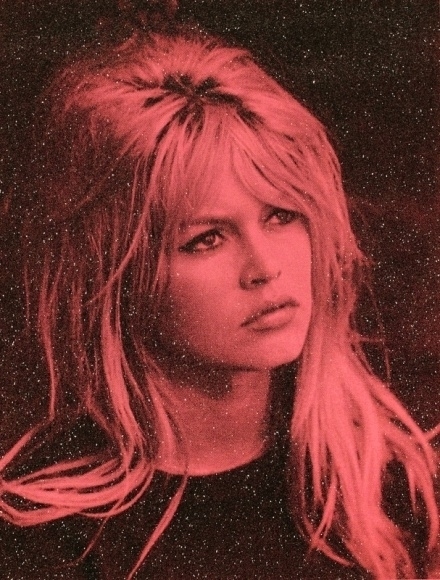 Russell Young, "Bardot St. Tropez"
British-American artist Russell Young’s work currently sits in several of the most important museums worldwide, from The Mint Museum in North Carolina and The Polk Museum in Florida to The Albertina Museum in Venice Italy and The Istanbul Museum of Modernist Art in Istanbul. Best known for large silkscreen paintings reference popular culture (see "Kate Moss Superstar"), Young will be debuting two never-before-seen works at Art Basel. Montreal-based anonymous street artist Stikki Peaches' distinct style merges a myriad of techniques, from graffiti to tattoo styles, to reveal influential pop culture figures from the artist’s childhood. From Michelle Pfeiffer to Kate Moss, and JFK to Andy Warhol, Stikki Peaches’ works create a startling juxtaposition of themes and aesthetics. Sure to be showstoppers, all works by Stikki on display at Art Basel will be brand new pieces in mixed media, using reclaimed wood board and hand-painted Tunisian tiles. 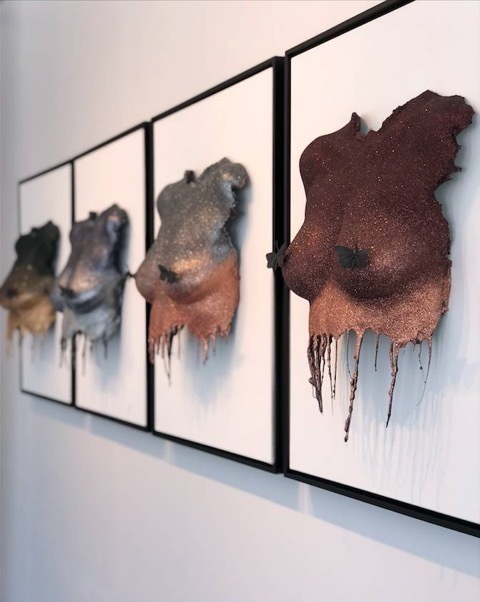 Jennie Vinter, "Ombre Installation II"
Born in Sweden and based in LA, Jennie Vinter is known for her feminine lifecasting sculptures, cast from real women and left un-retouched. Placed on canvas, the sculptures become textured wall-mounted statues--a modern twist of ancient Greco-Roman sculptures. On display at CONTEXT will be unseen works from Vinter. Visit Art Angels Miami to explore a collection of provocative contemporary art, 127 NE 40th Street, (786) 753-8088, Monday through Friday from 11 a.m. to 7 p.m, Saturday from 12 p.m. to 6 p.m., and Sunday by Appointment Only. CONTEXT Art Miami will be held at the former Miami Herald site at Biscayne Bay from December 4 through 9.